This easy recipe is a crockpot chicken recipe using boneless chicken, mushroom soup or cream of chicken soup, wine, sour cream, and hot cooked noodles. To jazz the sauce up a bit, add chopped green onions or parsley to the crock pot along with the soup. A small jar of drained diced pimientos or some chopped red bell pepper would add color and flavor. Or add some steamed peas near the end of the cooking time along with the sour cream. The combination is similar to creamed chicken or chicken a la king. It would be good on split buttered biscuits or toast points as well. Mix wine and soup together in a bowl; pour over chicken. Cover and cook on LOW for 6 to 7 hours or HIGH 3 to 4 hours, or until the chicken is cooked. Before serving, combine the flour with the water and mix until smooth. Stir in the sour cream and then stir the mixture into chicken and juices. Heat for 30 minutes longer on LOW. 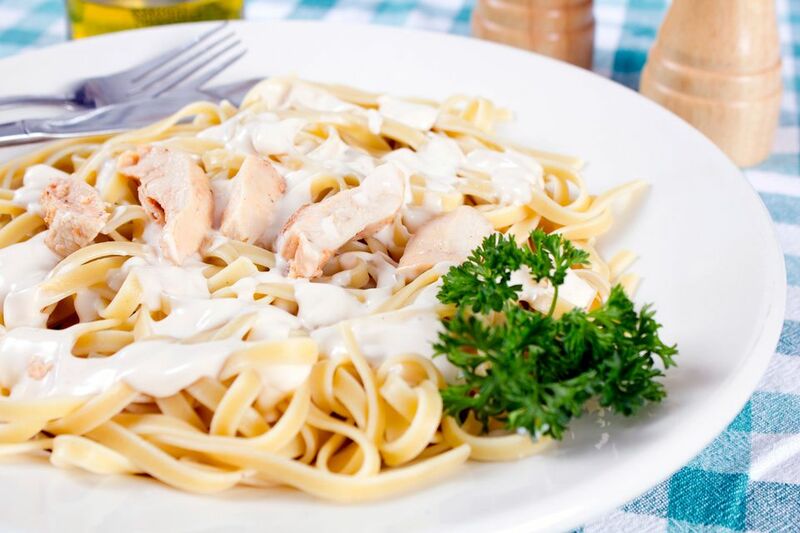 Serve the chicken and gravy with hot cooked noodles or rice. Add a few tablespoons of chopped pimiento or red bell pepper with the soup and wine. Add about 1/4 cup of thinly sliced green onions to the soup mixture. Add 2 tablespoons of fresh chopped parsley along with the sour cream. Add a 4- to 6-ounce can of sliced mushrooms (drained) or 4 to 8 ounces of fresh sliced and sauteed mushrooms.